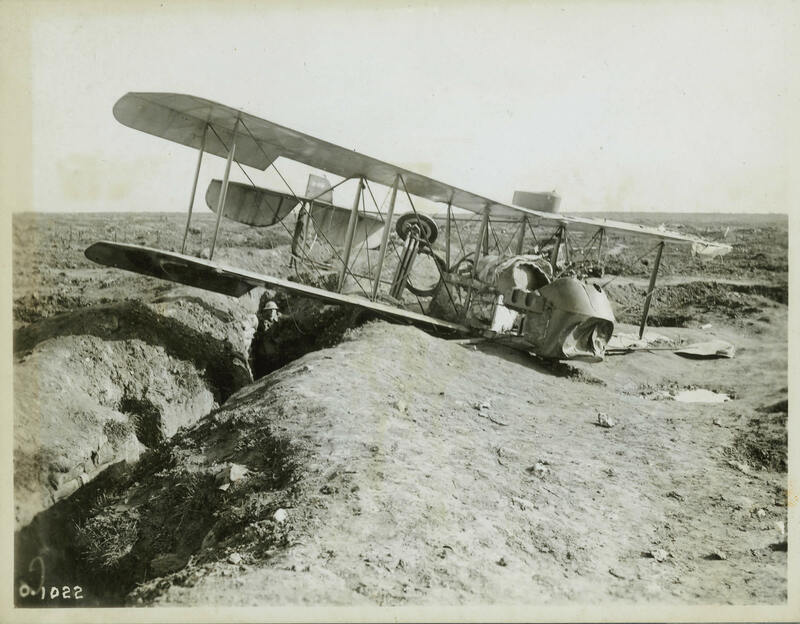 A British Airco DH2 after a crash landing near Pozieres, France. The DH2 was a scout plane that entered service in 1916. It was flown by both the British and French air corps.